Thanks to Defiant Entertainment here is your chance to Win one of 5 x Bernie the Dolphin on dvd. A fun and heartfelt tale of friendship that the whole family will enjoy. When brother and sister Kevin and Holly befriend a lost dolphin, they name him Bernie. When their friend suddenly goes missing, they go on an adventure to find him, uncovering a scheme that could destroy their favourite beach and threaten Bernie's home. 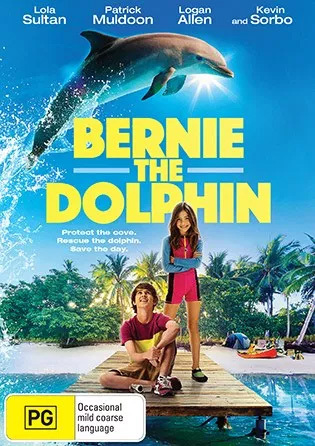 In this fun and heartfelt film that the whole family will enjoy, the kids must now do all they can to stop the bad guys, save the ocean and reunite Bernie with his family.